1 Thessalonians 4:16-18 For the Lord himself shall descend from heaven with a shout, with the voice of the archangel, and with the trump of God: and the dead in Christ shall rise first: then we who are alive and remain will be caught up together with them in the clouds to meet the Lord in the air, and so we shall always be with the Lord. Wherefore comfort one another with these words. The great hope of the church, the return of Christ for His Church. 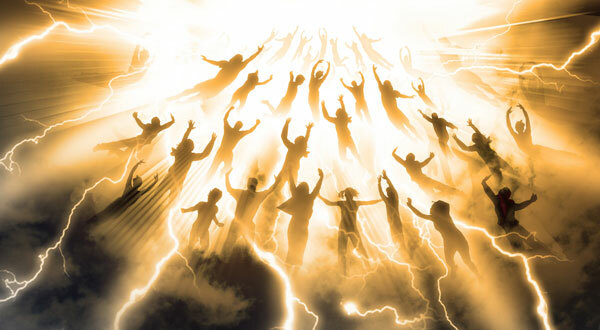 Do you want to be among those that are taken to Heaven or will you take your chances down here? Never doubt you have a choice. Pray - I never wanted to come to you in fear but I also recognize that fear often motivates me to do the right thing. I don't want to be left behind, Lord. Save me today.